Article 12 of the Town Law governs the establishment and operation special districts (aka “special improvement districts”). The Parking District is a distinct legal entity, with an existence separate and apart from the Town. What does the Parking District do and what does it own? How is it funded? The Parking District owns and operates six separate parking facilities, five of which are near the Hartsdale Metro-North train station. Commuter parking, permitted both quarterly and annually, is available for Sites “A”, “D”, “E” and “F”, and hourly metered parking is available to the public at Sites “A”, “B”, “C” and “D”. The Parking District derives its revenues from commuter parking permit fees, meter parking collections, rental income from cell towers, and other sources. No Parking District revenues are derived from Town tax revenues or parking violation fines, and the Parking District does not receive any services from the Town. Which of Parking District’s facilities are situated in Edgemont? Why does it matter? All the Bronx River Parkway spaces in Site “D”, and most (approximately 75%) of the Pipeline Road parking spaces in Site “E”, are located within the proposed boundaries of the Village of Edgemont. The Parking District’s income-producing cell towers are also physically within Edgemont’s borders. In this regard, Edgemont is different from the existing six incorporated villages in the Town, as Edgemont would be the only village with overlapping boundaries and common territory with the Parking District. This fact is important because Town Law § 190, which authorizes the creation of special districts, expressly states that “[n]o such district shall be established or extended in a city or in an incorporated village” absent the express consent of the village. In other words, if Edgemont incorporates, the Parking District shall have no legal right to continue providing service within Edgemont (after the transition period). This provision affords the Village considerable leverage. 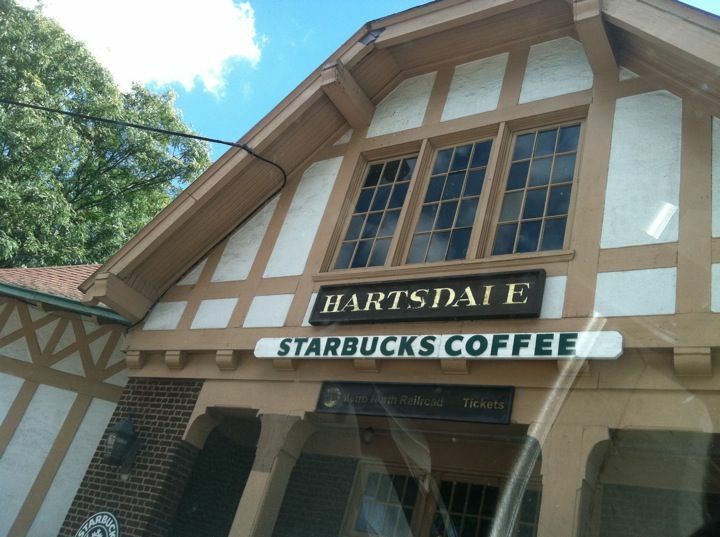 Nonetheless, village laws provide that Edgemont would have the option (but not the obligation) to continue to receive services from the Hartsdale Public Parking District, a possibility that is discussed further below. No. To avoid relinquishing important revenue-producing assets, the Parking District could negotiate with Edgemont to maintain the status quo under which both Edgemont Village commuters and Town unincorporated area commuters retain access to all parking lots near the Hartsdale Metro-North train station. This could be accomplished through any number of legal arrangements, including easements and tolling agreements, that would include guarantees that Edgemont residents would always have equal priority with all unincorporated Town residents. In any event, all daily metered spaces in all Parking District sites are available to any commuter with a valid automobile registration without regard to residency. Since only a portion of the Parking District is situated within the geographical boundaries of the Village, the Village would be responsible for only a portion of the indebtedness incurred by, or for, the Parking District during the period that Edgemont was part of the Parking District—and only if the status quo is not maintained. The apportionment of those payments would be based on the relative assessed valuation of the real and personal property of the Parking District within the Village compared to that outside the Village. While the relative assessed valuation of properties in the Parking District is not tracked by the Town and therefore is unknown, the Parking District’s debt service obligations to the Town is known and fixed: $450,000 annually through and including 2026. Therefore, if the Village represents 50% of the Parking District valuation, then the Village would owe 50% x $450,000 = $225,000. In no instance would the Village’s owe more than its proportionate share of the debt payments, which themselves expire in 2026. Further, the Village would have no additional financial obligations to the Parking District beyond its share of the debt payments. However, if the status quo is maintained as described in the preceding section, the Parking District would retain all revenue and debt expense, and the Village government itself would have no ongoing obligations. Based on the most recent information provided to the EIC by the Parking District for year-to-date 2017, Edgemont residents currently account for approximately thirty-eight percent (38%) of the commuter parking permits issued by the Parking District. Further, the aggregate number of potential commuter parking spaces within the Village coincidentally also represent approximately thirty-eight percent (38%) of the total commuter permitted spots within the Parking District. Residents of a Village of Edgemont will have legal rights to sufficient parking spaces at the Hartsdale Metro-North train station, in perpetuity, irrespective of any policy decisions of the Town or Parking District.